Professor emeritus of German at Silpakorn University, Thailand. 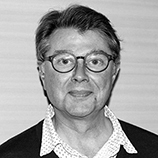 A scholar of Comparative Literature, trained in Cambridge and Tübingen, he has had extensive experience in teaching, research, and university administration. 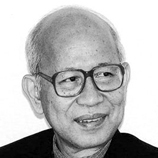 His scholarly works address such areas as Western, Thai, and Comparative Literature and Interart Studies. With a grant from the Humboldt Foundation, he has been studying the rebirth of the discipline of Comparative Literature in Germany after WWII. 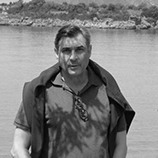 He is a frequent visitor to Berlin, having been associated with the Institute for Comparative Literature of the Freie Universität Berlin and the Centre for Cultural and Literary Research. Cody Poulton is Professor of Japanese literature and theater in the Department of Pacific and Asian Studies at the University of Victoria, Canada, where he has taught since 1988. He is the author of Spirits of Another Sort: The Plays of Izumi Kyōka (Michigan UP, 2001) and A Beggar’s Art: Scripting Modernity in Japanese Drama, 1900-1930 (Hawaii UP, 2010). He is co-editor of: with Zdenka Svarcova, Dreams and Shadows: Tanizaki and Japanese Poetics in Prague—Essays in Honour of Anthony V. Liman. (Prague: Karolinum, 2007); with Katsuhiko Endo and Richard King, Sino-Japanese Transculturation: from the late nineteenth century to the end of the Pacific War (Lanham, Maryland: Lexington Books, 2011); and, with Mitsuya Mori and J. Thomas Rimer, The Columbia Anthology of Modern Japanese Drama (Columbia UP, 2014). He has also translated kabuki and contemporary Japanese drama for such multivolume series as Kabuki Plays on Stage (Hawaii UP, 2002-03) and Half a Century of Japanese Theater (Kinokuniya Shoten, 1999-2009). David Moss is considered one of the most innovative singers and percussionists in contemporary music. He has performed his solo and theatre work all over the world, from New York (Lincoln Center) to Venezia (Theatro La Fenice) to Brisbane (Festival). 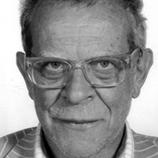 In 1991 he received a Guggenheim Fellowship; in 1992 a DAAD Fellowship (Berlin). 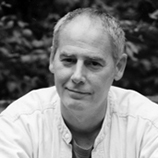 Moss is the co-founder and artistic director of the Institute for Living Voice. Moss has sung with the Berlin Philharmonic under Sir Simon Rattle, made his Carnegie Hall debut with the American Composers Orchestra, sings regularly with the Ensemble Modern. He was a featured soloist in Luciano Berio‘s “Cronaca del Luogo” at the Salzburg Festival and returned to Salzburg in 2001 as Prince Orlovsky in “Die Fledermaus”. Moss sings in Heiner Goebbels’ orchestra work “Surrogate Cities” and music-theatre work “Prometheus”. Daya Bai (originally Mercy Mathew) is a social activist from Kerala (India) working for the upliftment of tribals in central India. At present she lives in Barul village of Chhindwara district in Madhya Pradesh. 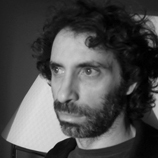 David Savran is a specialist in twentieth and twenty-first century theatre, music theatre, popular culture, gender studies, and social theory. He is the author of eight books, including the first monograph on the Wooster Group, "Breaking the Rules" (1986), and, most recently, "Highbrow/Lowdown: Theater, Jazz, and the Making of the New Middle Class," the winner of the Joe A. Callaway Prize and the Kurt Weill Prize. He has served as a judge for the Obie Awards and the Lucille Lortel Awards and was a juror for the 2011 and 2012 Pulitzer Prize in Drama. He delivered the Messenger Lectures at Cornell University in 2012 on Branding and Cultural Performance and is co-editor of the Journal of American Drama and Theatre and former vice president of the American Society for Theatre Research. He is Distinguished Professor of Theatre and holds the Vera Mowry Roberts Chair in American Theatre at the Graduate Center of the City University of New York. 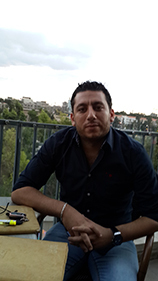 Fadi Fayad Skeiker is an associate professor of theater arts at the University of Jordan, and currently a visiting researcher at Free University of Berlin with support of an Erasmus grant. His work has been focusing on using applied theater as a tool to address human rights issues, refugees issues, and youth. 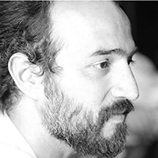 Fadi Fayad Skeiker is an associate professor of theater arts at the University of Jordan, and currently a visiting researcher at Free University of Berlin with support of an Erasmus grant. 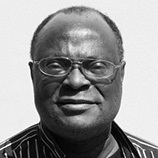 Femi Osofisan studied in Ibadan, Dakar and Paris, and taught theater and comparative literature at the University of Ibadan for 34 years. Since his recent retirement, he has been appointed Professor Emeritus by the same university. 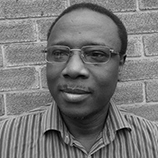 Osofisan’s professional experience is manifold—he is an award-winning poet, writer, actor, company director, journalist and scholar. But it is as a playwright that he established his reputation, having written and produced over fifty plays, roughly half of which have been published. Among these are a series of plays that speak to Osofisan’s long-standing interest in reinterpreting European works in the context of African—specifically Yoruba—traditions and customs. He approaches his continuous search for a viable modern written theater that would still be authentically African not only in terms of shared thematic concerns but, more importantly, with a view to form and technique. He has worked on several canonical texts—including Shakespeare, Chekhov, Gogol, Brecht, Feydeau, Frisch and Sophocles—and discussed in his essays the consequences of this interweaving of cultures aimed at producing a new synthesis. What is the result of the commingling of Soyinka and Brecht or Grotowski, Clark and Ogunde with Barrault, Rotimi with Mnouchekine, and so on, particularly against the backdrop of our traditional performance aesthetics? How can all these elements be pressed into the service of a “committed theater” in the age of globalized neo-colonialism and increasingly globalized terrorism on the one hand, and of “Nollywood” and proliferating Pentecostal movements on the other? 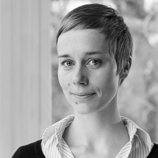 Erika Fischer-Lichte is director the International Research Centre "Interweaving Performance Cultures" and Professor of Theatre Studies at the Freie Universität Berlin. 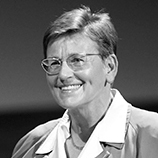 From 1995 to 1999 she was President of the International Federation for Theatre Research. She is a member of the Academia Europaea, the Academy of Sciences at Goettingen, and the Berlin-Brandenburg Academy of Sciences. 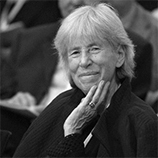 She has published widely in the fields of aesthetics, theory of literature, art, and theatre, in particular on semiotics and performativity, theatre history, and contemporary theatre. Among her numerous publications are Global Ibsen. Performing Multiple Modernities (2010), The Transformative Power of Performance: A New Aesthetics (2008, German 2004), Theatre, Sacrifice, Ritual. Exploring Forms of Political Theatre (2005), History of European Drama and Theatre (2002, German 1990), The Show and the Gaze of Theatre: A European Perspective (1997), The Semiotics of Theatre (1992, German 1983), and The Dramatic Touch of Difference: Theatre, Own and Foreign (1990). Director, writer and producer. After her studies with Jürgen Flimm, she worked as personal assistant to Armand Gatti und Roberto Ciulli. Her debut after Pasolini's “Pig's Stall” was followed by productions of both classical and contemporary authors. She has written plays about fine artists Eva Hesse and Alexej von Jawlensky and developed performances concerned with urban development and architecture. 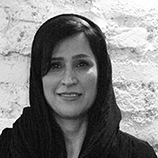 Her travels have frequently led her to the Middle East, initiating the first Syrian-German co-production after Sadallah Wannus “Tuqûs al-ishârât wa al-tahawwulât”. 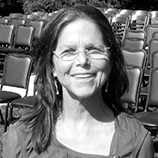 Her most recent productions include “Everyman” by Hofmannsthal, staged with actors from Germany and Senegal and “Antigone”, performed on the grounds of a former National Socialist training institution, that after WWII transformed from military training area to memorial site. Still on-going is “Government Poetry”, an artistic view on UNESCO's Convention on the Protection and Promotion of the Diversity of Cultural Expressions. 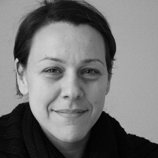 As a lecturer, she has focussed on psychoanalysis and film and the role of art in Human Rights Education. 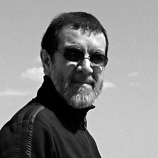 Gastón A. Alzate is Associate Professor of Theater and Literature at California State University, Los Angeles. He previously acted as Founding Director of Latin American, Latino, and Caribbean Studies (LALACS) at Gustavus Adolphus College, Minnesota (1997- 2006). Before coming to the United States, he worked as an art critic for the Sunday magazine of the Colombian daily El Espectador, and for the Revista Arte Internacional of the Bogotá Museum of Modern Art, Colombia. His publications include a study of Colombian poet Álvaro Mutis, which won the National Essay Prize in his native country, and a study of contemporary Mexican cabaret. He is co-editor of the peer-reviewed Journal of Theatricalities and Visual Culture KARPA (http://www.calstatela.edu/misc/karpa). 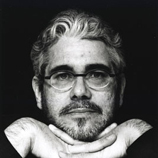 Since 2005, he has been a member of the Editorial Board of Latin American Theatre Review. Since 2007, he has been part of the Irvine Hispanic Theater Research Group directed by Juan Villegas (editor of Gestos). He has published in the fields of Latin American theatre, film, popular culture, and literature in Colombia, Mexico, Spain, and the US. Gavin Krastin is a South African performance artist, theater-maker and designer, scenographer and arts educator with an interest in the body’s representation, limitation and operation in alternative, layered spaces. His work is inspired by his immediate South African environment and the history embedded in its shifting socio-political climate. The social underpinnings and philosophies of space intrigue him and inspire a questioning of operational systems, thresholds, proximities and the politics of boundary-crossings and transgressions (and the myth making thereof) in his work. He presents works at numerous festivals in South Africa and internationally. In 2016, he is an awardee of the Theaterformen Festival Grant reporting for Textures from the festival and the research atelier Our Common Futures. 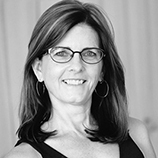 Jacqueline Shea Murphy is a professor in the University of California, Riverside’s dance department. She has published on the topic of Native American and Indigenous dance history and contemporary choreography in journals including Biography, Theatre Research International, Interventions, and Discourses in Dance, and in "The People Have Never Stopped Dancing": Native American Modern Dance Histories (2007), awarded the 2008 de la Torre Bueno Prize® for outstanding book of the year in dance studies by the Society of Dance History Scholars (SDHS). Through this writing, in her lectures and teaching, and through producing numerous showcases, panels, and symposia on Indigenous choreography at conferences and through the "Indigenous Choreographers at Riverside" project, she has helped bring Indigenous choreography into visibility to dance studies scholars. 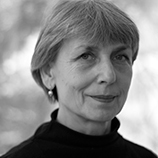 She has a background in literary studies and creative writing, and is co-editor of Bodies of the Text: Dance as Theory: Dance as Theory, Literature as Dance (1995). 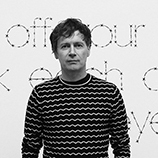 Janez Janša is a contemporary artist, who in 2007, together with two other Slovenian artists, changed his name to that of the twice-elected conservative Prime Minister of Slovenia. 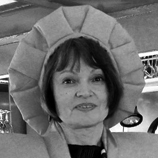 Janša’s interdisciplinary work as a theatre director and performer focuses on the relation between art and the social and political context surrounding it, and reflects on questions of the performers’ as well as the spectators’ responsibility. Many of his works address the status of performance in neoliberal societies, including (together with Peter Šenk) Refugee Camp for the Citizens of the First World (2004) and We are all Marlene Dietrich FOR (with Erna Ómarsdóttir, 2005), a performance for soldiers in peacekeeping missions in the tradition of army entertainment shows. In his exhibition Life in Progress (2008), the audience re-enacted famous historical performance art actions. For Janša, artistic practice, theoretical reflection and political involvement are not separate: he is also the founding director of Maska, a non-profit organization based in Ljubljana, Slovenia, involved in publishing, production and education, which has published several books on contemporary dance and theatre. He is the author of a book on Jan Fabre’s early works (La discipline du chaos, le chaos de la discipline, 1994). 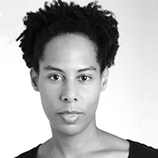 Johanna Devi trained in contemporary dance and ballet from the age of six at Jessica Iwanson, Munich. 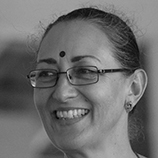 She has also been studying Bharatanatyam in India, Germany, the USA and Canada since 1995. 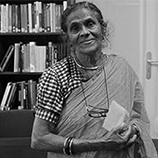 She concluded her studies with her ‘arangetram’ under Rajyashree Ramesh in Berlin in November 2006. Additionally, Johanna completed her modern dance training at danceworks-berlin e.V., and at the Alvin Ailey School of American Dance Theater in New York City. Besides her dance training she studied classical music (piano and music theory). Johanna has been working as a professional dancer and choreographer since 2007 and has danced and toured with several international dance companies. From 2006 she started to develop her particular movement language, which shaped her unique choreographic style and which she continues to adapt successfully. She deconstructs the Western and Eastern dance forms she was trained in to merge physical contrasts – resulting in a very personal movement style that represents her hybrid identity. 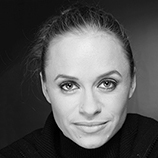 In 2012 she founded the Johanna Devi Dance Company in Berlin. So far she has presented solo and company work in Europe, North America, the Middle East, India and Cuba. Joy Kristin Kalu holds an M.A. in Theater Studies and American Studies, and a Ph.D. in Theater Studies from the Free University Berlin. Currently a fellow of the International Research Training Group InterArt, she is preparing the publication of her dissertation “The Aesthetics of Repetition” (transcript 2013). She has worked with several theater companies and museums in Germany and the United States, including as an assistant director at the Thalia Theater in Hamburg and the Actors’ Gang in Los Angeles, as a performer with Frank Castorf at the Volksbühne Berlin, as Christoph Schlingensief’s production assistant, as an intern at The Wooster Group in New York and as a project assistant at Kunst-Werke, Institute for Contemporary Art in Berlin. In 2007 she initiated the kitchen and exhibition project “freitagskueche berlin” together with the visual artist Dennis Loesch and others. Her research interests include the aesthetics of contemporary German and American theatre and performance, the history of performance art and the aesthetics of applied theatre. Julia Lemmle, M.A. History and Literature, has focused on discourse analysis and gender issues and is teaching "Rhetorische Kompetenz" at the Freie Universität Berlin since 2008. In her artistic work for “Fräulein Bernd” she is doing research on the interdependency of masculinity, whiteness and class. Fräulein Bernd opens political and academic congresses with performance combining media analyses with a personal and biographic access to the issues adressed. www.fraeuleinbernd.com Recent publication: “Kann es denn rassistisch sein, wenn ich es nicht rassistisch meine? Weißsein, Theater & die Normalität rassistischer Darstellung” (www.migration-boell.de/web/integration/47_3399.asp). 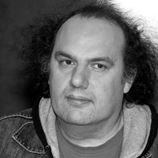 Kai Tuchmann is the executive head dramaturg of the Mainfranken Theater Würzburg. He studied theatre directing at the Hochschule für Schauspielkunst “Ernst Busch”. During his studies he directed among others at the Stadttheater Brandenburg and the Maxim Gorki Theatre in Berlin. In 2004, his production „Eumeniden“ (Aischylos) was awarded the Bensheimer Theaterpreis and in 2005 the same production was invited to the Ruhrfestspiele Recklinghausen. Together with his company “Iskra-Labor” he developed his diploma production “Woyzeck” and in 2006 they put on “The Book of Job” from the Old Testament, which was awarded the audience award at the “Berliner 100 Grad Festival” (HAU). 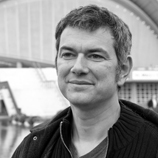 Between 2006 and 2008, Kai Tuchmann worked as director at the Staatstheater Weimar. 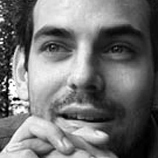 Since 2008, he has coordinated and curated several projects in the Middle East and Northern Africa for the Goethe-Institut. He worked and directed in Egypt, Iraq, Israel, Kenya, oPT, and Sudan. He has spoken and published on the relation between politics and aesthetics in Germany, the Netherlands, Sudan and the USA. In 2009, Kai Tuchmann held a fellowship of the State Berlin (NaFöG – Stipendium). 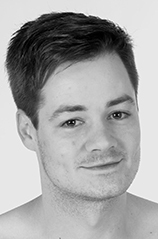 Since 2010 he has been PHD student for Theatre Studies at the Freie Universität Berlin. Kaite O’Reilly is a playwright, radio dramatist, writer, and dramaturg who works in disability arts and culture and mainstream culture. 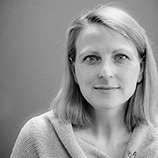 She has won various awards for her work, including the Peggy Ramsay Award for YARD (Bush Theatre, London) and Manchester Evening News Best Play of 2004 for Perfect (Contact Theatre, Manchester), while The Almond and the Seahorse (Sherman Cymru, Cardiff) was a finalist for the 2009 International Susan Smith Blackburn Award. Her acclaimed new version of Aeschylus’ Persians was directed in August 2010 by Mike Pearson as part of the inaugural year of National Theatre Wales. She has recently received an Unlimited Commission, part of the Cultural Olympiad for the 2012 London Olympics, to create The ‘d’ Monologues, a series of short dramatic monologues written specifically for Deaf and disabled performers, from a "crip" perspective. Her plays are published by Faber & Faber and Oberon. Kanghee Jeon (*1978) works and lives as a dramaturg and critic in Seoul. She studied Theater Studies at the Korea National University of Arts. She is interested in experimental theater with new writing styles, and has participated in works dealing with contemporary issues. She is also a festival planner. She has been working as a programmer in Seoul Fringe Festival since 2014, and as a dramaturg and executive director in Seoul Marginal Festival since 2016. In Recent days, her artistic development has been greatly influenced by intermediality and co-working with various artists. Playwright, director, head of theater company Bird Park. Born in Tokyo in 1985. After a childhood in Malaysia she researched TERAYAMA Shuji at University of Tokyo (B.A.) and OTA Shogo at Tokyo University of the Arts (M.A. ), and founded Bird Park in 2007. She has joined many residency programs and made site specific pieces, and was nominated for the 58th KISHIDA Kunio Drama Award. Furthermore, her major works were performed at Festival/Tokyo, Fujinokuni Arts Festival and so on. From 2015 she joined junior fellow of The Saison Foundation and won the first prize at Japanese Young Director Concours in 2016. In 2016, she is an awardee of the Theaterformen Festival Grant, reporting for Textures from the festival and the research atelier Our Common Futures. Katherine Mezur is a scholar/artist whose research focuses on transnational dance/theatre performance, gender studies, and new media performance in the Asia Pacific region. She holds a Ph.D. in Theatre and Dance, emphasis on Asian Performance, from the University of Hawai'i, Manoa. She is author of Beautiful Boys/Outlaw Bodies: Devising Female-likeness on the Kabuki Stage (Palgrave Macmillan), a history of the kabuki female gender performance and its contemporary practices, aesthetics, and politics. She choreographs and directs musicals, and experimental performance/media works. Her current research/practice focuses on the migrations of corporeal cultures through performance and visual art, which includes contemporary butoh's "diaspora" and dance theatre/media works by North East Asian artists. She has taught at Georgetown University, the University of Washington, Seattle, and CAL Arts. 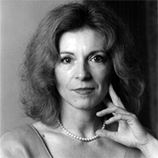 Her articles appear in journals such as Discourses in Dance and Women and Performance. She is an advisor/director for the "New Dance" grant program at the Yerba Buena Center for the Arts, (San Francisco, CA). 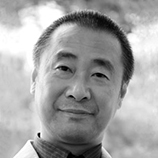 Kazuo Fujino is Professor of Performing Arts, Cultural Policy and Arts Management at the Graduate School of Intercultural Studies, Kobe University. His area of specialization is the relationship between art and society mainly in the performing arts of Germany and Japan. He has published numerous books and articles on Richard Wagner. In addition to his research in the field, he has spent many years actively involved in working with chorus and opera. He applies his long-standing practical experience to his work and, in the last ten years, has been focusing increasingly on arts education and arts management. Six years ago he founded the Kobe International Music Festival with students and citizens of Kobe. He was the project leader for the university education reform program, The Education of Arts Management to Restore Urbiculture, run by the Ministry of Education, Culture, and Science in Japan from 2007 through 2010. 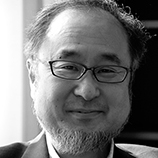 He is a founding member of the Japan Association for Cultural Policy Research and has been involved in many cultural policy initiatives on a local level. Senior Professor of Comparative Literature and Performance Studies, Faculty of Letters and Humanities at Abdelmalek Essaadi University, Tétouan, Morocco. 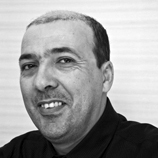 Since 1998, coordinator of the Research Group for Performance Studies at AEU; 2003-2008, member of the Executive Committee of the Union of Professional Theatre in Morocco; since 2006, Founding President of the International Centre for Performance Studies (NGO), Tangier; since January 2007, member of the Editorial Committee of Contemporary Theatre Review; since July 2007, Founding Member of the Arabic Working Group, International Federation for Theatre Research (FIRT); since 2004, main convener of the international conference Performing Tangier; Director of Tangier’s Professional Theatre Festival (July 2006, July 2007 and July 2008). 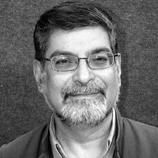 Khalid Amine is the Editor of ICPS Performance Studies Series and has published widely in international theatre journals such as TDR, Documenta, Journal of Middle Eastern and North African Intellectual and Cultural Studies or FIRT Journal. Kristin Flade studied Theatre Studies at the Free University of Berlin. Her works deal with the relation between artistic and academic research, and try to negotiate liminal spaces in between these. In these spaces she explores questions of "self" and "other“, of representation and violence, virtual and corporeal effects of performance, and archiving. Kwon Songhee is a Korean traditional pansori vocalist. She aims to be a vocalist who can restore sense and emotion of same age and she has been developing new concept pansori throughout a variety of sound experiment, voice expression, ensemble of various musical instruments and cooperation with young artists. Moreover, she is trying to become independent of dramatic music sound and suggests new pansori which focuses on an ensemble with various musical instruments, development and experiment of sound and expressions. She was selected as a next generation artist from Korean Culture and Arts Committee and received attention by publishing pansori project 1-3. In 2016, she is an awardee of the Theaterformen Festival Grant, reporting for Textures from the Festival. Lucila Piffer (born 1988 in Buenos Aires) is a theater director and a performing arts producer. She works along with creators of different backgrounds, such as theater, dance, performance, literature and music. She has a special interest in the merging of artistic and accademic disciplines, and ceative uses of lo-fi technology. Since 2007 she has collaborated with both local and international artists; among them, Guillermo Heras (ES), Constanza Macras (DE), Silvina Grinberg (AR), Guillermina Etkin (AR), Luis Cano (AR) and Agustina Gatto (AR). Between 2008 and 2011 she directed CARSON, a company of young actors, musicians, designers and visual artists under 30. She also worked in public and alternative theaters as artistic adviser for several projects. She currently collaborates with the writer and theater director Lola Arias, the performer, coreographer and dancer Laura Kalauz and the dramaturgist and performer Sofía Medici. She studies Philosophy at the Buenos Aires University. In 2016, she is an awardee of the Theaterformen Festival Grant, reporting for Textures from the festival and the research atelier "Our Common Futures". 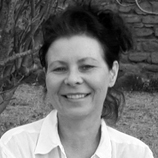 Dr. Małgorzata Sugiera is a Full Professor at the Jagiellonian University in Kraków, Poland, and Head of the Department of Performance Studies. 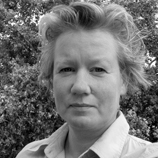 Her main research areas are performance theories, cultural studies and queer studies. She has published ten books in Polish, most recently Other Shakespeare: New Readings of the European Canon (2009), together with Mateusz Borowski In the Trap of Opposites: Ideologies of Identity (2012) and her new book Nonhumans: Reports from Artificial Natures (2016). She has co-edited three books in English and German: Fictional Realities / Real Fictions. Contemporary Theatre in Search of a New Mimetic Paradigm (2007); Theater spielen und denken. Polnische Texte des 20. Jahrhunderts (2008); Worlds in Words: Storytelling in Contemporary Theatre and Playwriting (2010). She is also an active translator into Polish of German, English and French books and theatre plays. 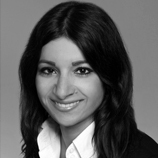 She is a member of the interdisciplinary panel of experts of the European Research Council (ERC) in Brussels, Belgium, and of the Review Panel of the European Cooperation in Science and Technology (COST). Born in 1985. Worked as artistic director in Syria. Studied in the higher institute of drama and arts in Damascus and graduated in 2010. During studying worked for the project “interactive theater in public schools” with groups of students and graduates of higher institute of dramatic and arts under supervision of Dr. Marie Elias and Omar AboSaada. I participated in workshops on critics, direction and writing, led by Frank Raddatz (Germany), Rogeh Assaf (Lebanon), Omar Abosaada (Syria) and others. As a post graduate, works as artistic director at Youth – Centered Festival, which the only theater festival still left in Syria, in addition to support and producing youth theatrical spectacles in cooperation with Syrian universities. Organized cultural events (theater, music, cinema) and workshops concerned with youth in cooperation with Syrian artists. Matthias Lilienthal studied theatre, history and German studies. He started his career in theatre in 1979, and has since worked as artistic director at Theater Basel and the Volksbühne am Rosa-Luxemburg-Platz (Berlin). He has worked as a freelance journalist for publications including the taz or the Süddeutsche Zeitung, and has given lectures in Tokyo, Krakow, Buenos Aires and other places. In mid-2000, Lilienthal was appointed deputy director of performing arts at the Berlin Akademie der Künste, and was program director for Theater der Welt 2002 festival in Bonn, Düsseldorf, Cologne and Duisburg later that year. He was manager and artistic director of the new HAU (Berlin) since September 2003. Under Lilienthal’s directorship, HAU was named Theatre of the Year by the magazine Theater Heute in 2004, and in 2007 won the German Design Award for its campaign with Neukölln boxers. In 2012/13 Lilienthal was resident producer of Ashkal Alwan’s second edition of the Home Workspace Program. In 2014 he was artistic director of Theater der Welt 2014 in Mannheim. At the beginning of the season 2015/16, Matthias Lilienthal took over the artistic direction of the Münchner Kammerspiele. 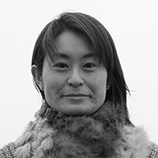 A scholar and dramaturg of dance and teacher of traditional Japanese dance Kannae Fujima, Nanako Nakajima was a Jacobs Pillow Dance Festival Research Fellow (2006) and a visiting scholar at Tisch School, NYU (2006). She was awarded a DAAD research fellowship in 2007 to complete her dissertation, Aging Body in Dance, at the Freie Universitaet Berlin. 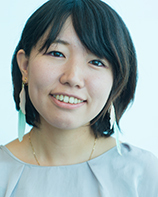 She was a postdoc research fellow at the Japan Society for the Promotion of Science at Saitama University from 2011 to 2014. She has worked as a dance dramaturg in experimental art projects such as koosil-ja’s mech [a]OUTPUT (New York Japan Society 2007) and Luciana Achugar’s Bessie award-winning Exhausting Love at Danspace Project (St. Mark’s Church, New York, 2006). 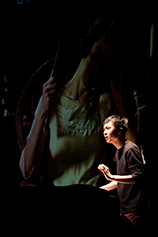 With Osamu Jareo, Nanako launched the Japanese-German co-production, Thikwa plus Junkan Projekt in Berlin, which was invited to the International Performing Arts Festival KYOTO EXPERIMENT 2012. In 2012, she co-organized an international dance symposium Aging Body in Dance with Professor Gabriele Brandstetter at Uferstudio in Berlin. 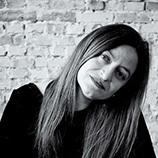 Natascha Siouzouli studied theatre, philology and literature at the University of Athens and was awarded a Doctor of Philosophy from the Freie Universität Berlin in 2006 (dissertation title: Raum-Zeit-Spiele. Bondy inszeniert Strauß [Playing with space and time. Bondy stages Strauß]). Until 2009, she was a research assistant at the Institute for Theater Studies, Freie Universität Berlin. 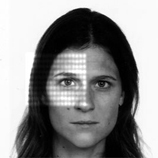 Since 2010, she has been co-directing the Institute for Live Arts Research |Π| in Athens, Greece. She also works as a translator. 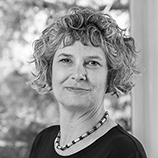 Her major research interests concern conceptions of presence and absence in performance, the shaping of identity and community in theatre, relationships between theatre and festival, and the political performance. 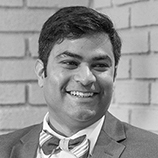 Nikhil Chopra has been working in the medium of live art since 2002, when he was studying at Ohio State University. He returned to India in 2005 and currently lives and works in Mumbai. His concepts and works operate at the threshold of theatre, performance, live art, painting, photography, and sculpture. In largely improvised performances, he inhabits fictional characters and spaces that draw on India’s colonial history as well as his own personal history. He was invited to the KHOJ International Performance Art Residency in Delhi and Kashmir in 2007, and to the Kunstenfestivaldesarts’ Residence & Reflection project in Brussels in 2009. He has performed at the Serpentine Gallery in London (2007), the Astrup Fearnley Museum in Oslo (2008), the Mori Art Museum in Tokyo (2008), the New Museum in New York (2009), and the Museum of Contemporary Art in Chicago (2010). He performed at the 53rd Venice Biennale and was part of the group show "Marina Abramovic presents..." during the Manchester International Festival 2009. 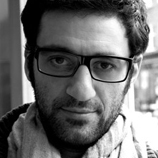 Omar Elerian is an Italian/Palestinian theatre director, deviser and performer. He trained at the Jacques Lecoq International Theatre School in Paris. As Associate Director at the Bush Theatre in London, he is involved in all the programming, producing and management activities. 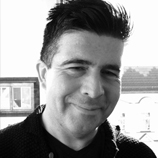 Elerian is also in charge of the Associate Artists scheme and of the programming of the RADAR Festival. Alongside the Artistic Director, he establishes the short, medium and long-term artistic and entrepreneurial policies of the institution. His latest directing credits include the acclaimed site-specific production "The Mill – City of Dreams" (Bradford, Yorkshire), "You’re Not Like The Other Girls Chrissy" (The Stage Best Solo Performance Award winner, Pleasance Attic, Edinburgh), "Testa di Rame" (Festival Inequilibrio, Italy), "Les P’tites Grandes Choses" (Maison des Arts du Cirque et du Clown, France) and "L’Envers du Décor" (Théâtre des Enfants Terribles, France). He was also Associate Director for Jericho House’s production of "The Tempest," performed during the Barbican’s bite11 season in St Giles Cripplegate, after touring Israel and the West Bank. 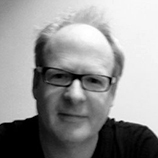 Peter Eckersall is Associate Professor of Theatre Studies in the School of Culture and Communication, University of Melbourne. 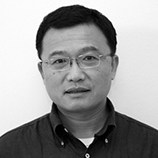 He holds a PhD in Japanese Studies and an MA in Asian Studies, both from Monash University. 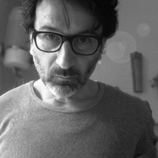 His research interests include contemporary Japanese theatre and culture, experimental performance and dramaturgy. He is presently finishing a book on performative interactions in art, theatre, and politics in 1960s Japan. 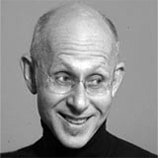 From 2006 to 2010, he was Chair of the International Committee of Performance Studies International. 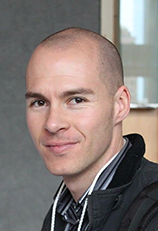 He is co-founder and co-editor of the journal Performance Paradigm. He is the dramaturg for the performance group Not Yet It’s Difficult (NYID), whose contemporary performance and media works are widely known in Australia, Asia, and Europe. 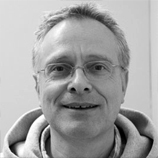 He has been involved with theatre for over thirty years and has worked as an actor, director, dramaturg, research academic, and teacher. 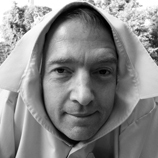 Phillip Zarrilli works internationally as a director and trains actors/dancers using psychophysical processes through Asian martial/meditation arts. 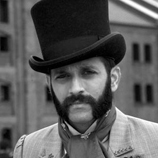 During his career he has created, directed, or performed in over 18 “intercultural” productions. 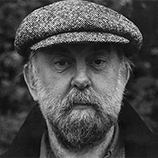 Most recently he co-created and Told by the Wind with Kaite O’Reilly and Jo Shapland (THE LLANARTH GROUP 2010), and “sweet…dry…bitter…plaintive” with Stella Subbiah of SANKALPAM (2010). 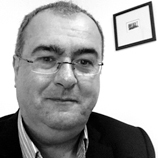 Zarrilli founded THE LLANARTH GROUP when he moved to the UK in 2000. Projects are international in scope and bring together a variety of artists for collaborative work. Between 1976 and 1993, Zarrilli lived in Kerala, India for a total of seven years—each trip devoted to undergoing intensive training in and researching kalarippayattu—Kerala’s traditional yoga-based martial art. 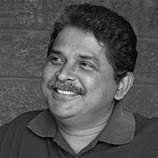 He is author of numerous books including When the body becomes all eyes: paradigms, practices and discourses of power in kalarippayattu (Oxford University Press 1998), Kathakali Dance-Drama: Where Gods and Demons Come to Play (Routledge, 2000), and (ed.) Acting Reconsidered (Routledge, 2002), among many others. 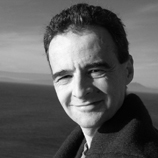 Pieter Verstraete is an independent theater scholar and former University Fellow to the University of Exeter. For the past 6 years, he has worked and researched in Turkey. His research splits into two strands: One is on intermedial practices in theater with a particular emphasis on sound and listening. The second concerns political and social issues, mainly playing out in the realm of Turkey-Europe relations, which includes debates on interculturalism, (post)migration, democracy, nationalism, and performative protest. 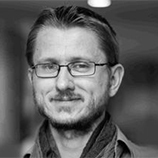 He is currently developing a postdoc research that looks at artists at risk in exile. Publications include various works on sound, voice and aurality in Performance Research (2010), Theatre Noise (CSP 2011), The Legacy of Opera (Brill 2013), Disembodied Voice (Alexander Verlag 2015), and Journal of Sonic Studies (2017). His texts on the Gezi protests and Standing Man were published by IPC-Mercator (2013), the Jahrbuch Türkisch-Deutsche Studien (V&R Unipress 2014), and Praksis (2016). 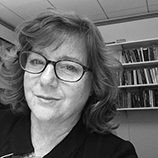 He is also co-editor of books: Inside Knowledge: (Un)doing Ways of Knowing in the Humanities (CSP 2009), and Cathy Berberian: Pioneer of Contemporary Vocality (Routledge 2014). For more info, please visit: https://pmgverstraete.wordpress.com/. Rabih Mroué was born in Beirut. He is an actor, director, playwright, visual artist, and a contributing editor of The Drama Review (TDR) and the quarterly Kalamon. 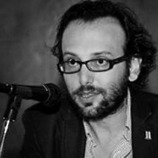 He is also a co-founder and a board member of the Beirut Art Centre (BAC), Beirut. Employing both fictional and true stories as tools for engaging with his immediate reality, Mroué explores the responsibilities of artists to communicate with an audience in given political and cultural contexts. 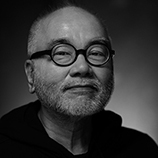 His works include “Riding on a Cloud” (2013), “The Pixelated Revolution” (2012), “Photo-Romance” (2009), “The Inhabitants of Images” (2008), “Who’s Afraid of Representation” (2005) and “Looking for a Missing Employee” (2012). He has had solo exhibitions at the Mesnta Gallerija, Ljubljana 2014; SALT, Istanbul 2014; CA2M, Madrid 2013; dOCUMENTA 13, 2012; LundsKonsthall, Lund 2011; and BAK, Utrecht 2010, among others. In 2010, he was awarded an Artist Grant for Theater/Performance Arts from the Foundation of Contemporary Arts 2010, New York. In 2011 he was the recipient of the Spalding Gray Award and the Prince Claus Award. Richard Antrobus holds an MA (Drama) from Rhodes University, South Africa, and a Diploma at the London School of Physical Theater. He was a was the recipient of a Standard Bank Ovation “Encore” Award 2011, a GIPCA fellowship (U.C.T) in 2012, featured in Mail & Guardian’s Top 200 Young South Africans 2013, selected for the Cirque du Soleil performer database (2014). For the past 6 years, Richard has been involved in making and directing family theater and theater for young audiences. In 2010 he wrote and performed his show “Stilted” to critical acclaim. 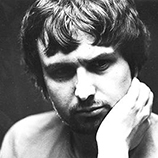 In 2013 he also wrote and created a solo, “Being Norm”, which he has performed nationally. More recently, he was selected as candidate for Assitej’s Inspiring A Generation 2015/2016 programme where he has written a story and play, “The Cloud-Catcher” for children aged 4-11 yrs. In 2016 he is an awardee of the Theaterformen Festival Grant, reporting for Textures from the Festival. 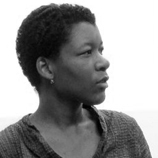 Sandrine Micossé-Aikins is a curator, art theorist and political activist. In her various work fields she seeks to encourage and analyse discourses about the relationship between art and power. Her Projects include the lecture series "Re/Positioniserung: Critical Whiteness/Perspectives of Color" (2009) and the follow-up exhibition "Making Mirrors" (2010), both taking place at NGBK Berlin. 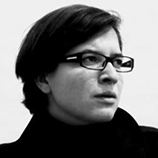 From 2008–2012 she co-curated and supervised the project Prèt-à-Partager for the German Institute for Foreign Cultural Relations. She also is one of the editors of the anthology "The Little Book of Big Visions: How to Be an Artist and Revolutionize the World". 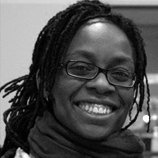 Sandrine Micossé-Aikins is currently a PhD candidate at the Muthesius Art School in Kiel. 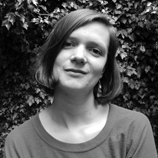 Evelyn Schuler Zea started her formation as anthropologist, translator and video editor in São Paulo, where she grew up bilingual (Brazilian Portuguese and Swiss German). Since 1996 she is attached to the "Núcleo de História Indígena e do Indigenismo" (NHII-USP) and realizes ongoing fieldwork in northern Amazonia among Amerindians known as Waiwai. She graduated in Ethnology, Philosophy and German Literature at University of Basel in 1999 and received her PhD from the Institute for Social Anthropology of the University of Bern in 2006, where she also worked as scientific assistant teaching on Amerindian anthropologies during two semesters. In January 2007 she entered the Postdoctoral Program in Social Anthropology of University of São Paulo, which includes lessons as visiting professor in a postgraduate course on Amerindian translations and relations. Evelyn Schuler Zea received a Differenzstipendium from University of Basel, a PIBIC-CNPq-Scholarship from University of São Paulo, a pre-doctoral funding from the Janggen-Pöhn-Stiftung and doctoral and postdoctoral grants from SNF and MHV and from FAPESP, respectively. 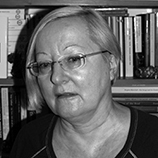 She is author of Zwischen Sein und Nicht-Sein: Fragmente eines kosmologischen Tupi-Guarani-Diskurses in der neueren brasilianischen Ethnologie (Curupira, 2000) and co-editor of the review Sexta Feira: Antropologias, Artes e Humanidades, writing articles on the interface between metaphor and translation, anthropology and cinema. 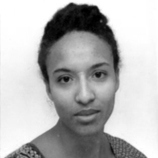 Participating in international interdisciplinary research groups („Projeto Temático Redes Ameríndias", "Dynamiques des circulations migratoires et mobilités transfrontalières entre Guyane, Surinam, Brésil, Guyana et Haïti"), her current research concerns conceptions of "translation" and "relation" in Amerindian anthropologies, grounded in Waiwai conceptual images and social dynamics. Sharon Dodua Otoo is a Black British mother, activist, actress, author and editor of the book series “Witnessed.” Her first novella “the things i am thinking while smiling politely” was published in 2012 and appeared German translation as "die dinge, die ich denke, während ich höflich lächle" in 2013 (edition assemblage). In all aspects of Sharon’s work, empowerment plays a key role. Following completion of her BA degree in German and Management Studies (Royal Holloway, University of London), Sharon worked in various consultancy roles in London and Brighton in the area of anti-racism, race equality and corporate social responsibility. She now lives, laughs and works in Berlin. Tara McAllister-Viel is Head of Voice at East 15 School of Acting, University of Essex, one of the UK’s top London-based acting conservatoires. 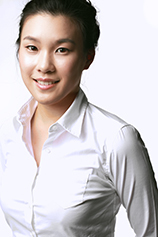 Previously, she lead the voice programme for two of the acting specialties at The Royal Central School of Speech and Drama (London) and was Visiting Professor-Voice for graduate and undergraduate acting conservatoires at The Korean National University of Arts, School of Drama (Seoul, Korea). While teaching at KNUA, Tara studied a traditional Korean vocal art form called p’ansori under Human Cultural Treasures Han Nong Son and Song UHyang over the course of four years. From this she developed an intercultural approach to training actors’ voices, which she continues to develop. 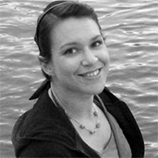 Tara is the current Associate Editor-in-Chief for the Voice and Speech Review (Routledge) and a board member of the Voice and Speech Trainers’ Association [VASTA] and of The Korean Association for Voice of Performing Arts [KAVPA]. Tara has voice coached numerous West End shows, including Complicite’s The Master and Margarita at the Barbican. 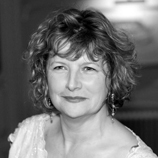 She has taught voice workshops internationally, including at the Institute of Speech and Phonetics at the University of Halle, at the Dipartimento Di Musica E Spettacolo, [CIMES] University of Bologna, at the National Drama School, at The Actors’ Centre (Spain) and at the Grotowski Institute (Wroclaw). Recent productions include The Rootless Forest, a voice/art installation in partnership with Beth Derbyshire (Birmingham Institute of Art and Design), the Birmingham Afghan Refugee community and Arts Council England; From the Mouths of Mothers, an original verbatim piece, at the London Pleasance Theatre, in cooperation with MOSAC and the Arts for All award scheme. It received five stars in Time Out London. Tara received her PhD in Performance Practice (Voice) from the University of Exeter, School of Performance Arts, England and a (three-year) Masters of Fine Arts-Acting degree from the University of Wisconsin-Madison, Asian/Experimental Theatre programme. He has been working in North Rhine-Westphalia since 2011, where he produced the works “Schrottplatz” and “Bitte...,” among others. Since 2013 he has been touring the world with his current project, “A Piece for You.” His enduring interests include communication, and the human being who sees him/herself reflected in the environment and actively influences it through creative relations. His approaches often reveal linguistic elements within conceptional methods and expressions. In his dance, he often explores individual articulations of a technical aspect, and the interrelation of dancers and danced dialogues. 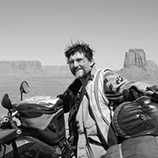 He organizes international workshops, has taught at numerous universities across the world, and has held guest professorships in Hamburg, Gießen, and Berlin. He also taught at the dance department of Arizona State University for several years. 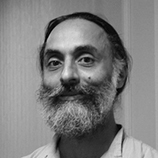 His teaching focuses on the above-mentioned themes as well as on choreographic systems that encourage individual artistic compositions within social contexts. 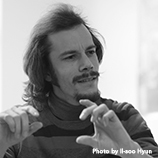 In 1990 Yu worked with an international theatre research project at the University of Bayreuth, from where he obtained his PhD. Since 2001, as Dean of the School of Performing Arts, he has been heading the Theatre Department at the Nanyang Academy of Fine Arts, Singapore, where he has set up a bilingual theatre faculty and distinguished performing arts school. As a theatre educationalist and specialist in training actors, Yu publishes and lectures widely in this field. 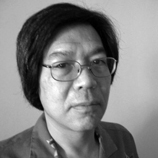 His long-time research interest mainly covers the area of transcultural theatre productions, especially of the Mandarin reception and interpretation of Shakespeare‘s works, as well as the modern approaches to/adaptations of Western dramatic literature on the Chinese stage at large. 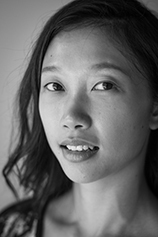 Wichaya Artamat is a Thai artist and member of For What Theatre Group. He studied film in undergrade and is captivated by performances, although he himself does not like to be a performer. He is intrigued by what it means to see or not see, to hear or not hear, and to experience vacant space in performance. He likes to give his audience the freedom to choose what they will notice in his work and to make room for spontaneous action to occur. His most recent stage plays include "6th October Party", "Baan Cult Muang Cult", "In her’s view : a documentary theater", and "3 Days in May". In 2016, he is an awardee of the Theaterformen Festival Grant, reporting for Textures from the Festival.